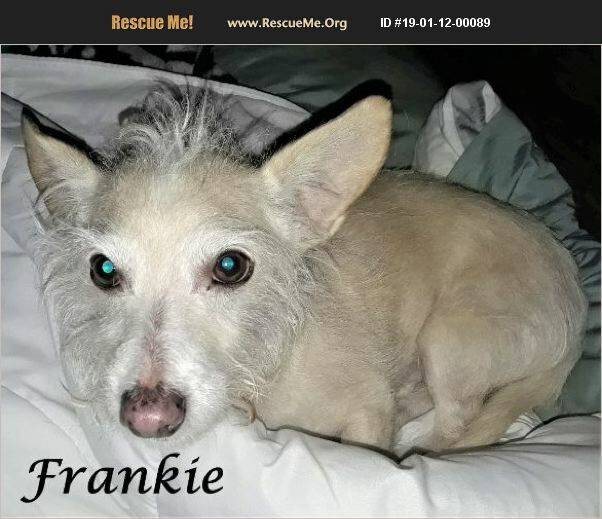 Frankie is a 7 yr old Neutered Male Cairn Terrier Mix. He was saved on New Years Eve from being euthanized. He is neutered, up to date on shots, good with other dogs & cats, good with kids & adults. He is just the sweetest, loving, cuddler, calm guy!!! Does know how to use a doggy door, he does not bark at all!!! Frankie is looking for his Forever Home!! !